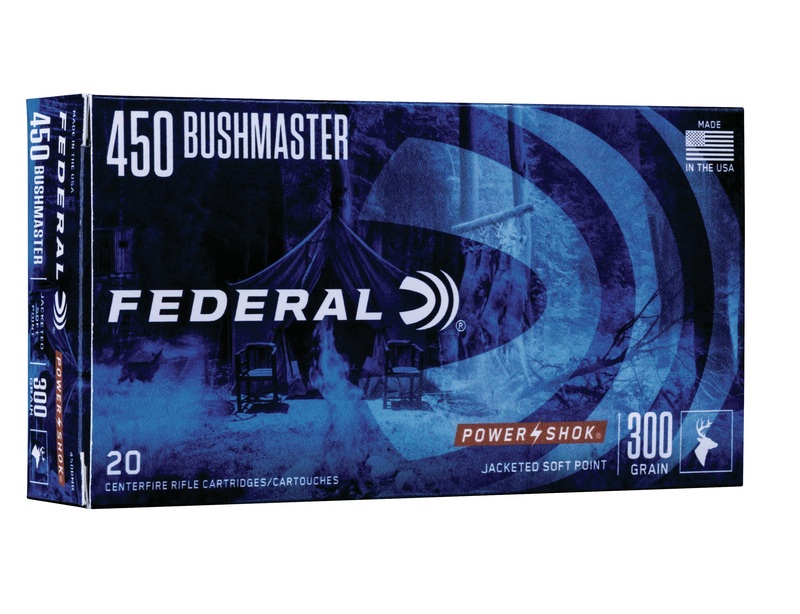 ANOKA, Minnesota - December 3, 2018 - Federal is proud to announce new loads for hunting chambered in the popular 450 Bushmaster straight-wall cartridge. Shipments of Power-Shok ammunition are being delivered to dealers now. Fusion and Non-Typical will soon follow. 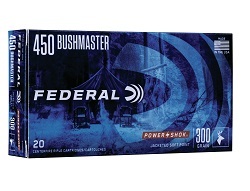 Legal in more “slug-only” areas and offering enhanced range, accuracy and power over other straight-walled rifle cartridges and sabots, the 450 Bushmaster is becoming a new favorite of deer, hog and bear hunters. Now the hot cartridge is available in three of the best loads for hunters—Federal Fusion (bonded), Power-Shok and Non-Typical. All get the most from the round thanks to consistent, accurate bullet designs that expand reliably.